feel good time: just an old sweet song, keeps georgia on my mind. I don't mean to be dramatic, but it's the honest truth when I say, I get really emotional and somewhat down when I leave home. The thought of having to go elsewhere wondering when the next time I'll be back to the one true place where I belong really bothers me. It overwhelms me with sadness and anxiety. Most people are romantics. I'd say I'm one of them, but more-so with cities, states and places. Now, that's a strange kind of hopeless romantic, I know. Just when I think it's no longer possible to fall in love with Georgia more than I already am, there I go again falling deeper and deeper. The South is a whole other world down here. I don't mean to toot it's horn, but I will, because I can't help it. America is America, no matter where you live, it's free and beautiful. But I tell ya, there is no place like the South. And though I am bias, because it's my home, I'm telling you the honest truth. People just don't seem to understand the way of life down here until they truly experience it. Georgia is the one true place where I feel like my true self. I'm not saying I'm not myself elsewhere, but coming home to the South brings this abundance of youthful excitement and wonder. I'm giddy when I'm home. I'm in lighter spirits. I'm uplifted because I see the hospitality. The other day, my parents and I went to our local grocery store and while my mom ran in real quick to grab a few items, my Dad and I stayed in the car. Now, what I saw doesn't happen every single time, but it will happen quite often and it's not strange when it does happen, it's just what we do down here - a bagger working at the grocery store was pushing a womans cart all the way out of the store and to her car and unloaded her grocery bags for her and into her trunk. And the whole walking trip to her car, though short, was filled with chatter and laughter and you knew they didn't even know each other. It just brought a smile to my face and that's when my dad said under his breath, "that's the South for you." People truly go out of there way down here, to be a friend and no longer a stranger. People smile more, and though we are really slow down here with our drawls and crawls, we take our time because we can. Why rush when you can seize the day? I guess I just get sad to leave home because it's where I belong. The South is where I feel most comfortable, it feels right, I'm content here. I'm sure everyone feels that way with where they have grown up and call home, so I know you understand the feeling. I have an overwhelming feeling of love for my home. It's hard to put my feelings and thoughts into words and its quite frustrating at times. "Georgia On My Mind" by Ray Charles played in the car yesterday as my mom and I were driving home from Atlanta and I tried real hard to bundle up all of my emotions, but that song - the sounds of it, the mood and place it takes you, it's everything I feel and hear when I come home or think of Georgia. It's hard to explain and understand, I'm sure. But it's that good ol' fashioned feeling I get. And it brings me back down to earth when I hear it, and it makes me feel at ease and at home. My good friend from North Carolina, her mom always says, "You can have roots and you can have wings." That's a good reminder when you can't always have your way and you find yourself living far from home. Sadly, the selfish person in me doesn't care to have wings. I'd rather just dig deep in my roots. Such is life. Well, since I have been home, we've done nothing but soaked up the humidity and thunderstorms and yes, tornados, and it's been a thrill! My whole family is back in Georgia. I, of course, am the odd ball out - probably the real one in the family who wishes nothing more but to be in the South for the rest of my life, and of course I am the one out in Utah. My sister and her family moved back home and are about an hour west of Atlanta and my other sister and her family are in the process of moving to Tennessee. So you see, now I'm even more homesick with the thought that everyone is here and I am elsewhere. That sob story is beside the point. The point is, we've been having a blast. I've been eating like a queen, as I always do when I come home. I dare not step on the scale and I will not stop eating beignets, grits and fried cajun pickles until I leave. You hear? 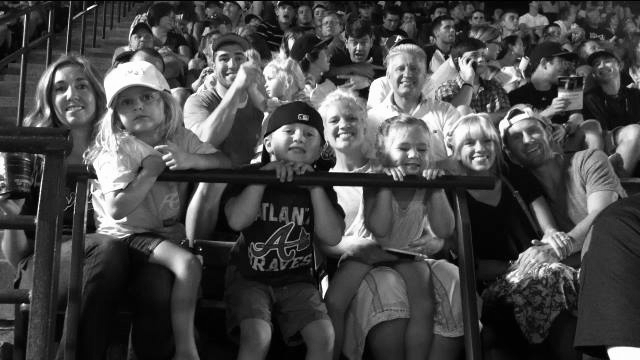 I took the Zoo to his first Braves game with my whole family and boy was it a night. That was probably one of my favorite nights out of this whole trip being home. 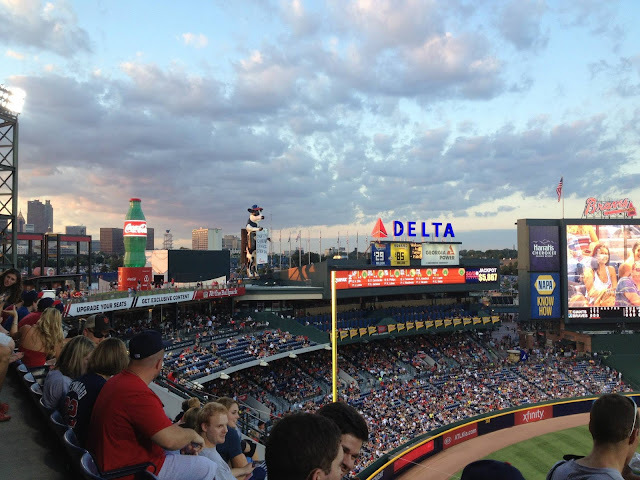 There is nothing better than a good ol' southern American summer night at a baseball game with the skyline of Atlanta glittering at you and a warm hug of humidity giving you tender love and care as you down a hot dog. Did I mention I had two hotdogs? 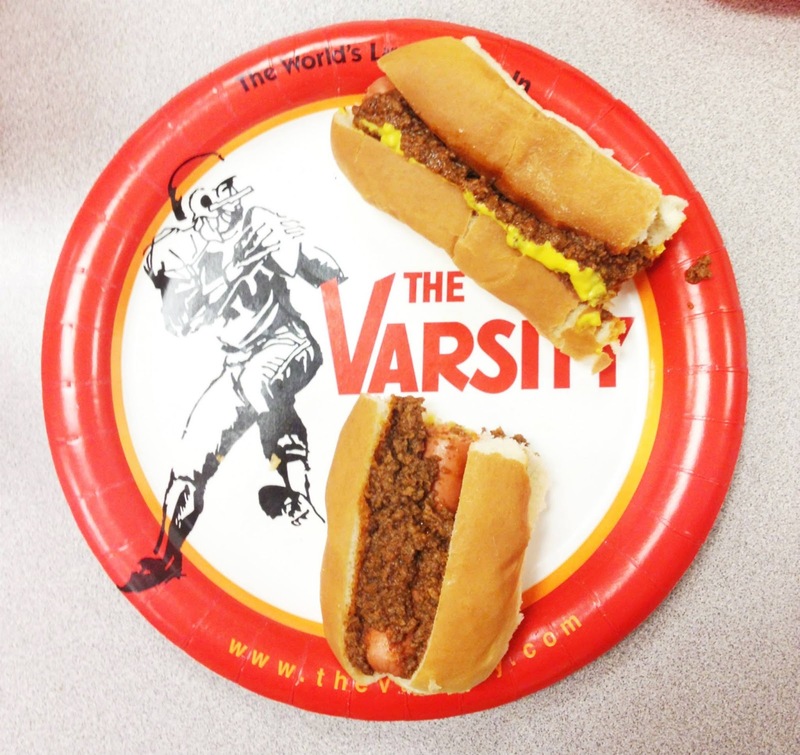 So, one of my favorite places to go to in downtown Atlanta near Georgia Tech is a tradition in our city called, "The Varsity." Opening in 1928, The Varsity is a two-story "lunching pad" that is known and loved by all in Georgia. With their famous line while ordering the best chili cheese dogs, naked dogs, a frosted orange and a fried pie, they'll scream at you "What'll ya have!" The Varsity is the worlds largest Drive-In believe it or not and on days of a home football game at the Georgia Tech stadium over 30,000 people come to visit The Varsity. I can't blame them one bit. You seriously take a step back in time when you walk through those doors. The smell of the grease, the commotion and energy, the original tile, chairs and paint bring allows the old days to come back to life. Zeke loved the Varsity, claiming it was one of the best Chili Cheese Dogs he's ever downed. Atta boy Zeke Squad! Every time I'm home, I always love to touch up on the history of where I grew up. The older I get, the more I realize how much of a history obsessor I am. Especially about specific families and people that made history in Georgia. 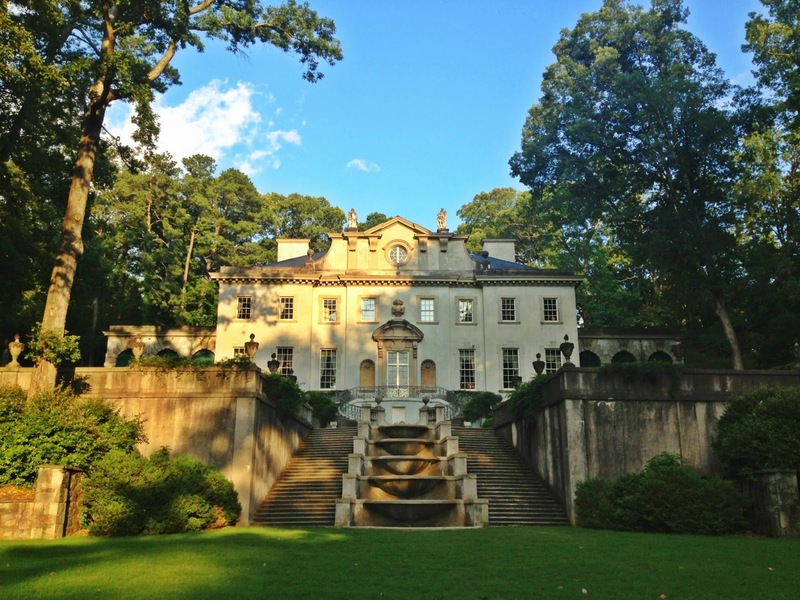 My mom and I explored the Atlanta History Center being able to go to the Civil War Museum which was unbelievable and we toured The Swan House (which is where I would have had my wedding reception, had the Zoo and I gotten married at home). And we also had the privilege to eat lunch in the Swan Coach House which is a real proper luncheon. My mom use to take me here when I was younger for tea parties. It was sort of comical and took me straight back to "The Help." We were seated in a large room with the most gorgeous crystal chandelier and beautiful pink floral wallpaper and the room was filled to the brim with older women, just chatting away wearing their best dresses. The background noise was nothing but that ol' southern drawl of gossip and we ate nothing but pimento cheese tea sandwiches and I thought to myself, "Where the heck is Miss Hilly and I want my bingo sheet ASAP!" 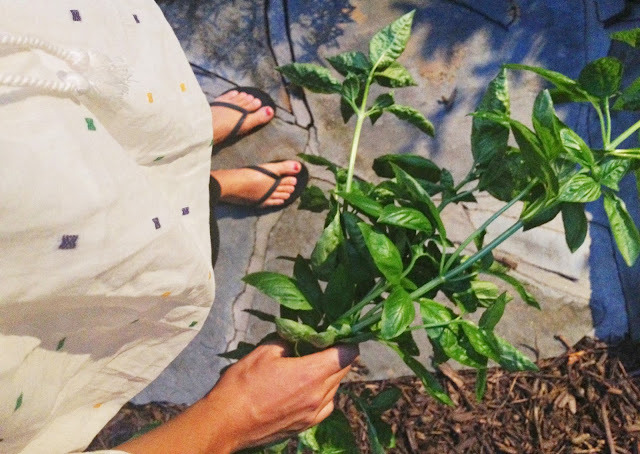 Later that night, my mom and I went into her garden in our backyard and picked ourselves some home grown basil and lemon balm while the fireflies sparkled throughout the night. That's another thing that makes the South so magical - fireflies. 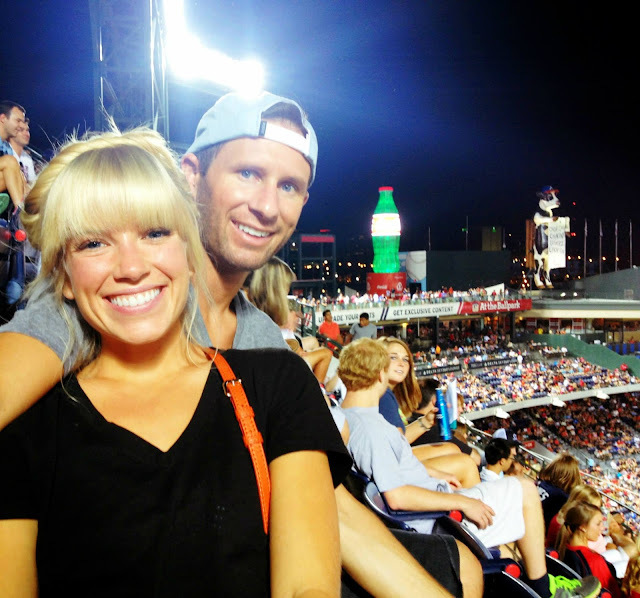 Now you've heard my engagement story concerning the southern fire flies, right? If not, do read up on it here. Have you guys ever been to Disneyland and been on the Pirates of the Caribbean ride? If so, remember the part where you are in the swamps and you pass by the restaurant and it's all dark with the live oak trees and the spanish moss is hanging from them and you see lots of glitter twinkling through the trees and in the night sky? Well, those my friends are "fireflies" and they are not exaggerating. That is exactly what it looks like with THAT AMOUNT of them. They are everywhere and it makes this place so magical and whimsical. It's a dream come true down here. By this time, the Zoo had to fly back to Utah for work which is never fun, but he's a good sport and he's also so kind for letting me stay home an extra week with my parents, since I don't get to come home too often. So last night, my parents and I went on the Roswell Ghost Tour near my house. 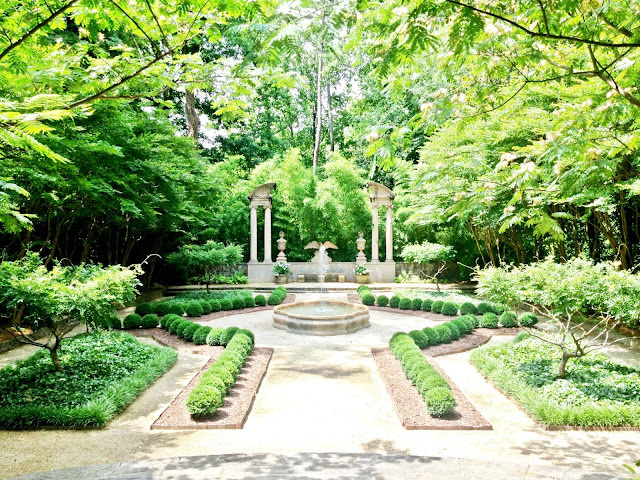 You can't believe how much history is in the South. There are so many stories to be heard and to tell of. So many people who we should know about. With the Civil War in mind, and all of the devastating history we carry, though we are ashamed of it - it's history no matter what and it should be talked about. 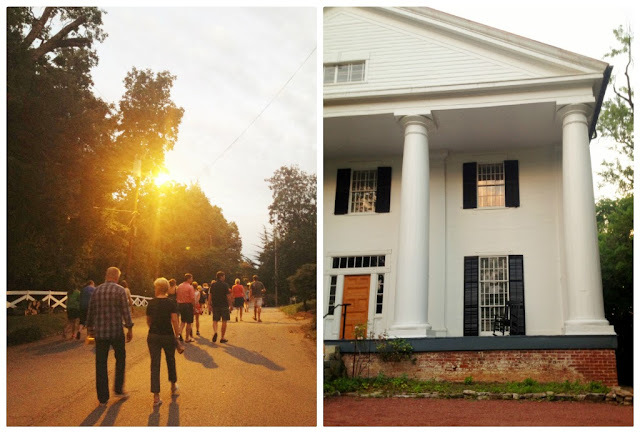 The South has the most intriguing stories ever, especially those stories concerning the families who built the plantations here and were forced to leave due to Sherman's March to the Sea. Hearing stories of Confederate soldiers being seen all through town. Visiting Founders Cemetery learning of the slaves who were buried there and also learning that most of the city of Roswell today was built on top of graves. Everything - it's all just so intriguing to me and I can't stop eating it all up. I kind of want to be a historian. Aside from wanting to be a ghost hunter, I think I'd love to be a historic tour guide of the South. I'm just saying. I've been in my own little world since I've been home and I am not ready to leave it. I'm going to be mature about leaving home this time around and leave home with a heart full of gratitude for even being able to have the means to come back home and knowing that I'll be back as soon as I can. I love this place with my whole entire heart. Aside from my family, the gospel and my friends, nothing means more to me than this place. "Just an old sweet song, keeps Georgia on my mind."